Chalk It Up! Prescott is a FREE, family-friendly and community-centered event intended to cultivate and support the creativity in people of all ages and abilities, while raising awareness and funds for the mental health, crisis intervention, and substance use treatment services supported by the West Yavapai Guidance Clinic Foundation. This annual Prescott event needs you! Gather your friends, fire up your imagination and grab a box of chalk – the chalk is free! Artists like you will create a temporary museum of pavement chalk art on Saturday, April 13 and Sunday, April 14, 2019 from 10:00 a.m. to 4:00 p.m. at 201 N. Montezuma Street – in the National Bank of Arizona’s parking lot. 1. Providing a unique arts adventure for people of all ages. 2. Uniting businesses with residents in a community endeavor. 3. Showcasing Prescott’s cultural image and resources. 4. Enriching the creative expression and enhancing the personal development of folks of all ages – especially children. 5. Raising awareness, support and funding for local mental health programs. Chalk It Up! Prescott has created a community centered public art event now attended by over 5,000 people. All ages have the opportunity to create drawings, listen to music, view the art and share in the fun. Chalk It Up! 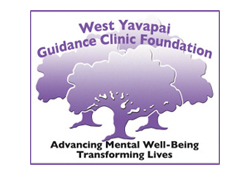 Prescott is managed through the West Yavapai Guidance Clinic Foundation (Tax ID 86-0576008) and community volunteers. All proceeds will help fund next year’s event as well as benefit the six funding priorities the Foundation has identified to help improve community mental health in the quad-cities area. What is a chalk art festival? The art of street painting has been around since the 16th century. Artists create beautiful images using the pavement as their canvas and pastel chalks as their medium. There are currently many prestigious festivals in Europe and America that celebrate this traditional art form. A street painting festival is a combination of performance art and public art. Spectators can experience the actual creation process, interact with the artist, and even participate by creating their own work of art. As an artist, you will be able to work on a large scale with pastel chalks that are extremely user-friendly in an inspiring environment while you interact socially and enjoy live entertainment. Come join us for a wonderful experience! Check out the Chalk It Up! Prescott 2016 video! Check out this awesome video from Chalk It Up! Prescott 2015! Check out this time-lapsed video from Chalk It Up! Prescott 2013!